The petite blooms of our Miniature Daffodils may be small, but their amazing naturalizing ability helps them make a very dramatic statement in any spring garden. 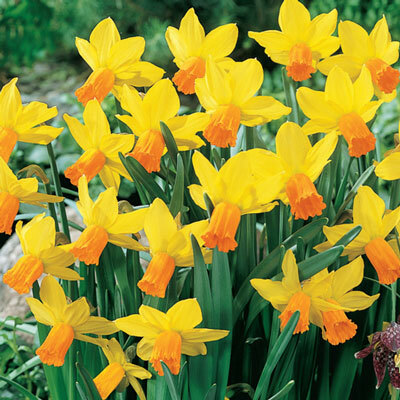 These fabulous Narcissus pack superior color and form in miniature size. They are perfect for rock gardens, borders, beds, window boxes and naturalizing. 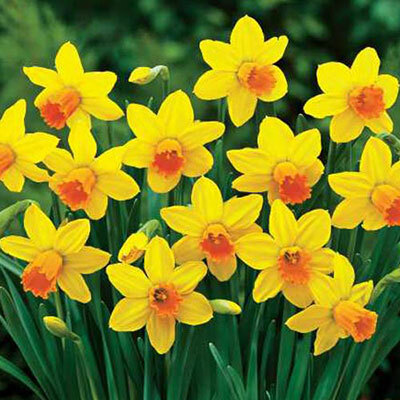 The American Daffodil Society (ADS) has thirteen descriptive divisions of Daffodils; such as trumpet, poeticus, split cup or double Daffodil to name a few. Miniatures have the same descriptive divisions as the standard Daffodil, only with smaller blooms, usually less than 1½" in diameter. Cyclamineus bring a different perspective to the garden with their short "necks" that present a single flower at an acute angle to the stem.